TUI fly, Emirates/Fly Dubai et al. - via Dar-Es-Salaam, Nairobi Precision Air, Coastal, Fly 540, KLM/Kenyan Airways et al. On the east coast, there is no bank, but an ATM in Paje. Cash can also be withdrawn at the airport or in Zanzibar Town. All ATM‘s give only TZS. 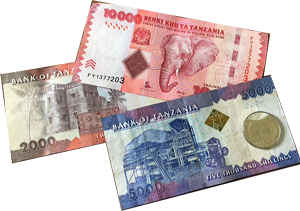 The preferred means of payment in Zanzibar is the U.S. Dollar. Please make sure that the $ notes are not older than from 2006, older ones are not accepted. For Zanzibar a Yellow Feaver vaccination is an entry requirement for all travelers arriving (including airport transit) from countries where there is a risk of yellow fever transmission. Zanzibar is considered to be malaria-free. Please contact your doctor for more information. The Swahili Time is different from all other parts in the world. The reference points are sunrise and sunset. Most Swahili speakers live close to the equator, where sunrise and sunset are at the same time all year long between 6 & 7 am and 6 & 7 pm. The rising sun is the beginning of the day, therefore 7 am is 1 o’clock in Swahili time. Travellers to Zanzibar require a valid visa. The costs are US$50 for most nationalities (US$100 for US citizens) for a single-entry visa, it is valid for a maximum of three months. You get it on arrival at the Zanzibar International Airport, it has to be paid by credit card.